As construction techniques have improved, so has Baker’s Bridge, also known as the Carver Bridge. Located just south of the small town of Carver Oregon across the Clackamas River, the fourth bridge to be at this location has recently been installed. Located next to the Barlow trail, a lot of settlers stopped here as took up donation claims. Among them, Horace Baker, a stone cutter, pump maker, and all around ingenious guy. His original cabin still exists less then a 1/4 mile from this location. 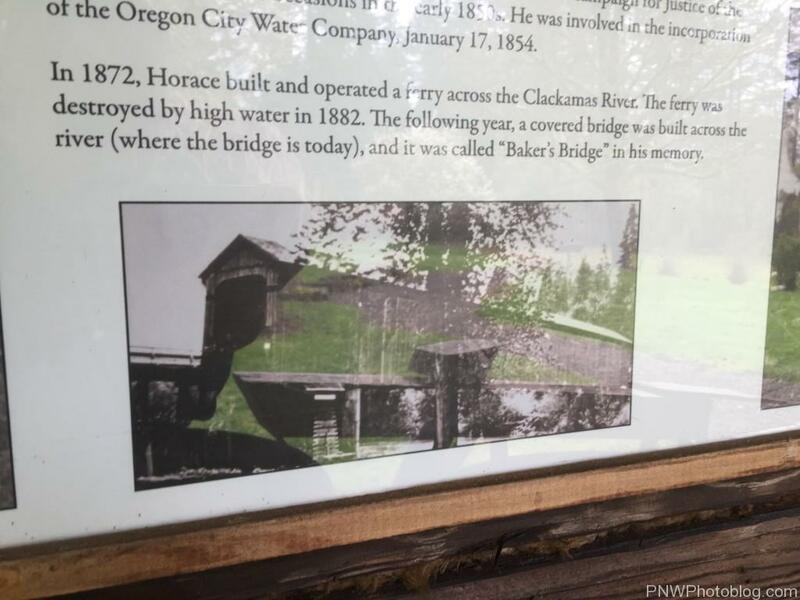 Baker built a ferry across the Clackamas River at this location in 1872. It ran until his death in 1882. The same source also says the ferry was swept away by high water that year, but I have not been able to find if those two events are related. At that time, the county decided to build a bridge across the river. It was finished in 1883, and named Baker’s Bridge in his memory. It is also referred to as “Baker’s Ferry Covered Bridge” in some sources[zotpressInText item=”ER8IIUA8″ format=”%num%”]. It was 230 feet long, built in the Smith Truss style. 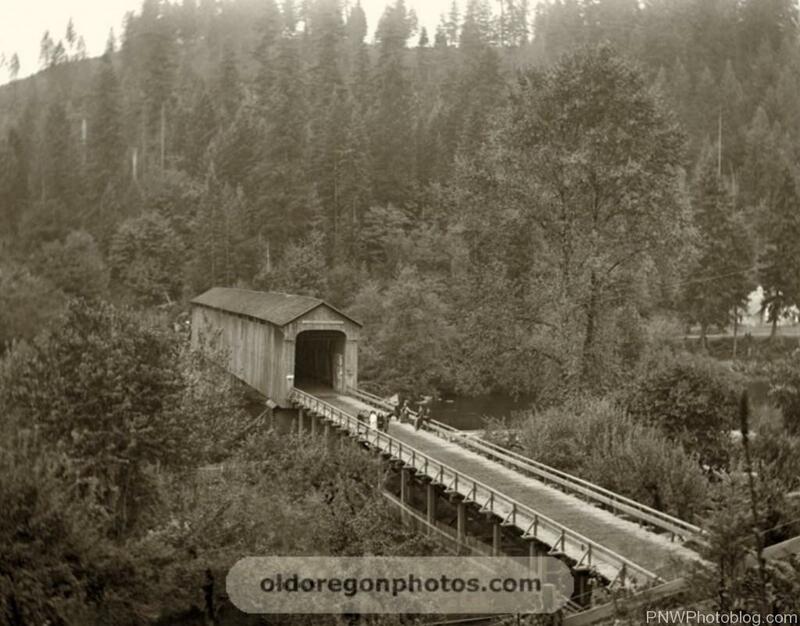 Old Oregon Photos says this was the Baker’s Bridge in 1900. I can’t reconcile the major differences between this bridge and the two pictures above. My only guess is that the river might have washed out part of the bank and the extension was built on the end. If this is the case, this would be looking from the north end of the bridge. Either way – I highly recommend visiting Old Oregon Photos, they have some of the best pictures of Oregon. 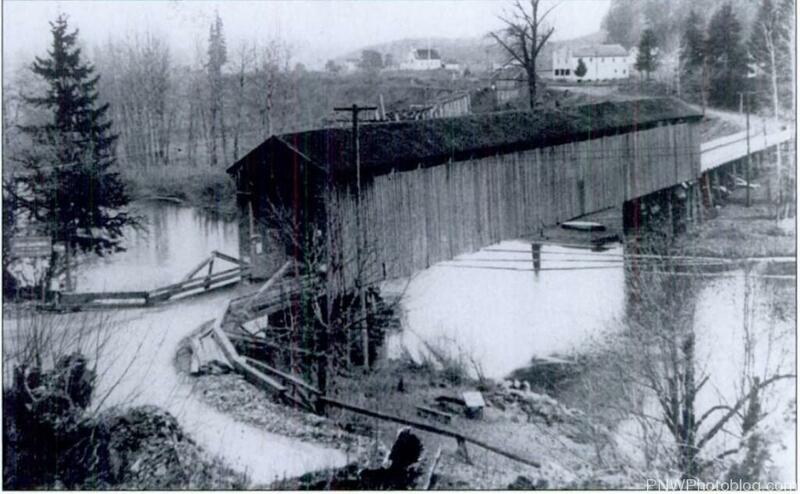 In 1930, Baker’s Covered Bridge was replaced by two new bridges. One was a trestle bridge built by the Clackamas & Eastern Railroad on the west side of the covered bridge. The other a 9-panel Parker through truss bridge built for automobiles. 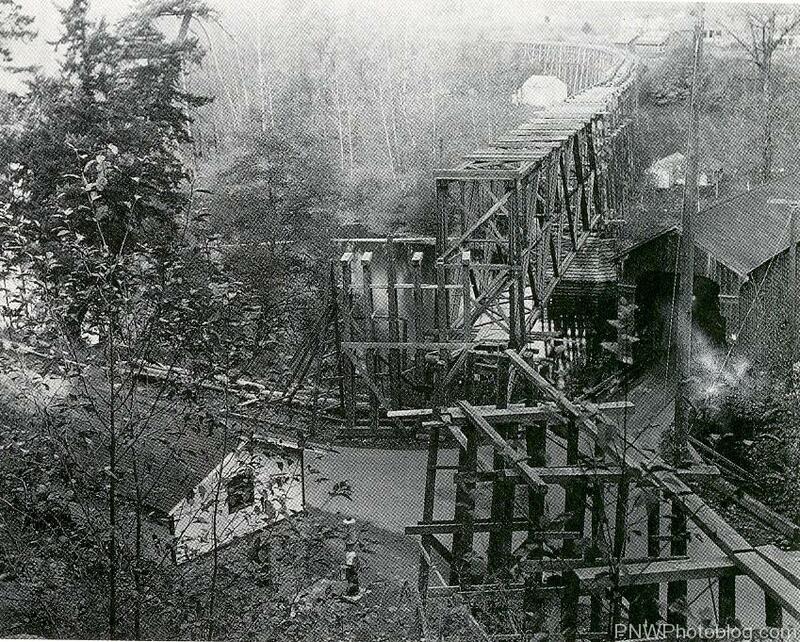 With both these bridges completed, the covered bridge was removed. The automobile bridge retained the name “Baker’s Bridge,” while the railroad bridge was removed at an unknown time. Railroad Bridge built in 1930. Baker’s Covered Bridge is to the right. The 1930s Baker Bridge was rehabilitated in the 1955. Unfortunately, as is typical these days, between modern building techniques, and degradation over time, this bridge was totally replaced in 2013. This was done despite it’s eligibility for the National Register of Historic Places. The deck condition was so bad that rebuilding it would have been impossible. The new bridge is a modern concrete bridge, with what looks like three lanes. When I visited in March 2016 road striping had not been finished and there were still construction traffic control devices present. 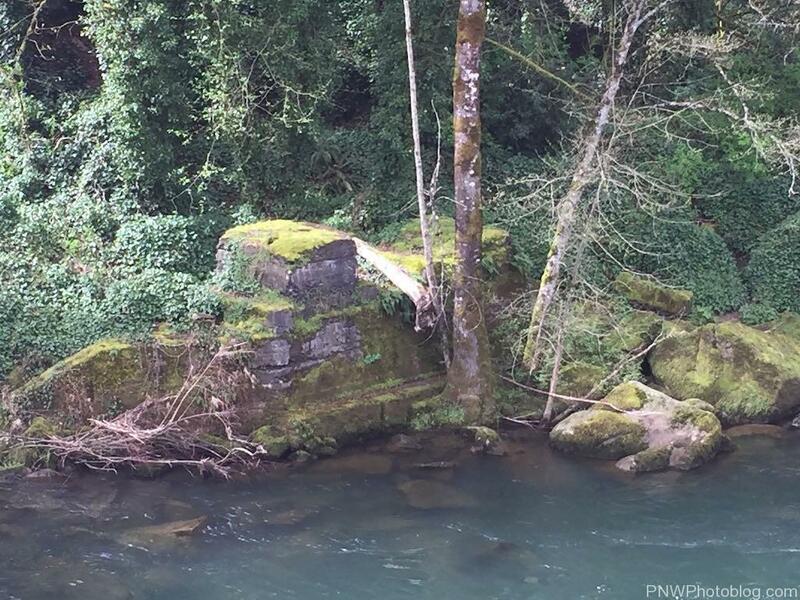 The footings of the Covered Bridge on the south shore of the Clackamas River are still visible. Those on the north shore don’t seem to exist any longer.